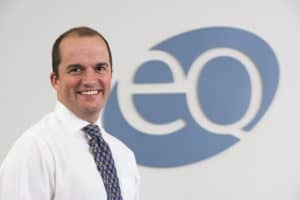 Leading accountancy firm EQ Accountants LLP has been commended for its commitment to service innovation and staff development. EQ, which has offices in Dundee, Forfar, Cupar and Glenrothes, has been awarded the status of Xero Gold Champion. Xero is Britain’s leading online accountancy software, one of many used by EQ’s Amber accounting department. Its dedicated Virtual Finance Office (VFO) offers expertise and support to clients’ day-to-day financial controls, allowing them to focus on their key business objectives. Achieving the status of Gold Champion emphasises EQ’s ongoing commitment to service innovation and internal staff development, with all team members maintaining their Xero accreditation. For more information about Amber, visit http://www.eqaccountants.co.uk/amber-accounting/.